What are the dangerous side effects? Xarelto is alleged to cause serious and uncontrolled internal bleeding, particularly gastrointestinal bleeding events, which could result in serious, life-threatening injuries, or even death. Recent lawsuits allege Xarelto did not contain proper warnings regarding irreversible or uncontrollable bleeding or that internal bleeding cannot be reversed as easily as with other anticoagulants. How can Zoll & Kranz help? Drug companies continued to aggresively promote Xarelto, even after they knew or should have known of the risk of irreversible bleeding from this drug. Zoll & Kranz, LLC, an experienced pharmaceutical and medical device litigation firm, is currently investigating claims of individuals who developed bleeding, clotting or other serious side effects or even death after taking the pharmaceutical drug, Xarelto® (rivaroxaban). 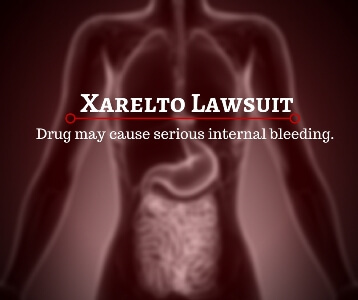 For more information about Xarelto® or if you believe you may have suffered bleeding or other problems after taking the blood thinner, contact our attorneys toll-free at (888) 841-9623 or fill out the form to the right. Initial consultations are always free and confidential. Please fill out the form below for a complimentary consultation. When did you start taking Xarelto?